After a week of hard work at Elebaires we like to take some time out to enjoy some of the magnificent food that there is in Argentina. The food in Buenos Aires is so varied and it’s often fantastic and well priced. This weekend the restaurant of choice was Sarkis, a fantastic little Armenian (Greek, Turkish, Middle Eastern) restaurant based on Thames in Palermo. I had never considered that they would have had Armenian food out here and that it would have tasted quite as good as it did! This, however, was evidence of the diverse culture and history of Argentina and often the restaurants and food here perfectly demonstrate that there is a huge amount of influence from all around the world here in Argentina. At the restaurant we were greeted with a huge bowl of hot and freshly made pitta breads (¨pitta pan¨ I hear you cry!). Being in an Armenian restaurant, we unanimously decided to order a vast mix of different Humus and they did not disappoint! 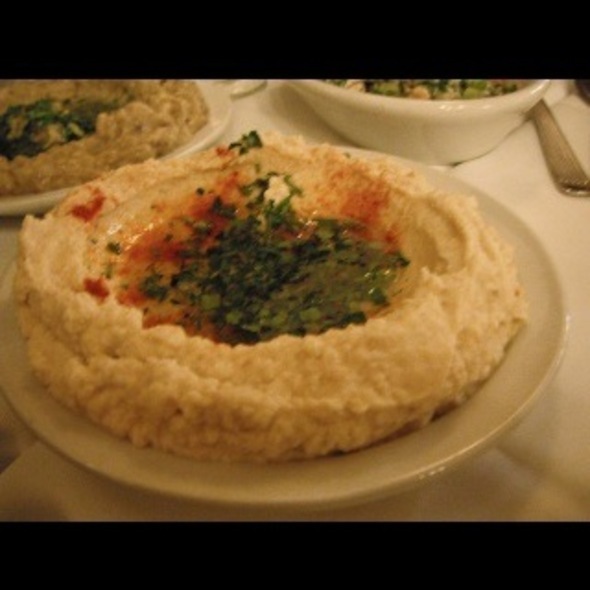 The culinary delights started with a baba ganoush, some regular humus, to red pepper humus a huge bowl of Tabouleh. After these irresistible starters we moved on to a vast collection of different specialties that were all brimming with delicious spices and cooked to perfection. From falafels and stuffed zuchinnis and aubergines (Provencal style) to scrumptious and juicy Lamb kaftas covered in an immaculate sauce. And of course this was accompanied by some great, if relatively inexpensive, Malbec – no supper out here is complete without a bottle of Argentina’s finest wine. The fantastic service and delicious and varied food means that I cant recommend this place enough! Ps. Make sure you get there as close to the opening time (8pm) as possible because it gets chocker!! Expect to spend between 60-150 pesos.